The website shows a very impressive collection of exceptional products for men and women…You will be really impressed and the products are of a great quality. Please go on the website, look around and enjoy. I’m so thrilled to have discovered Living Earth Beauty. I’m so excited to tell you about it. I adore this brand. 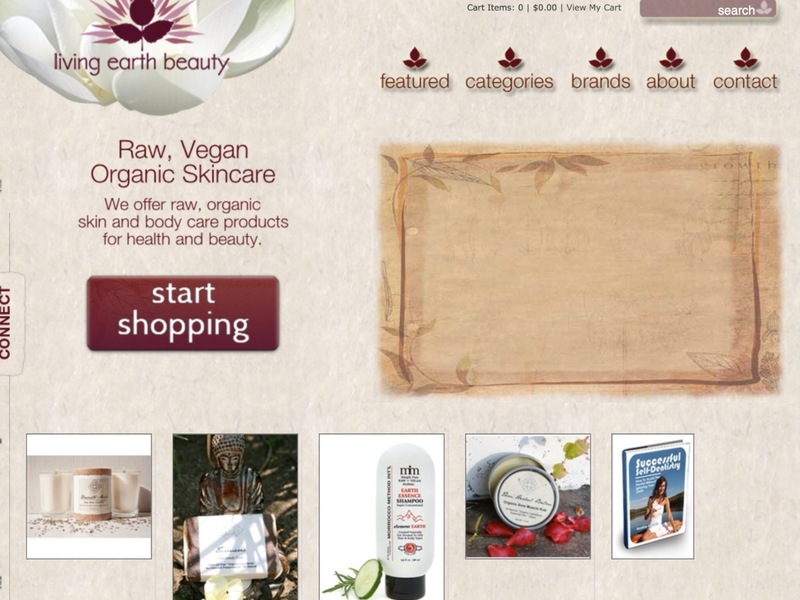 I really love their products which by the way are made from natural, pure and organic ingredients. 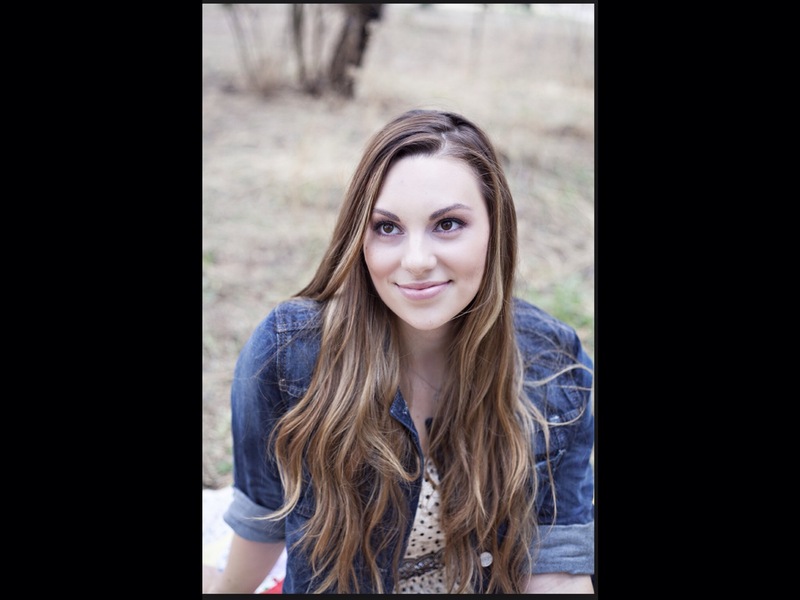 I recommend for you to go on the blog too. You will find awesome tips. 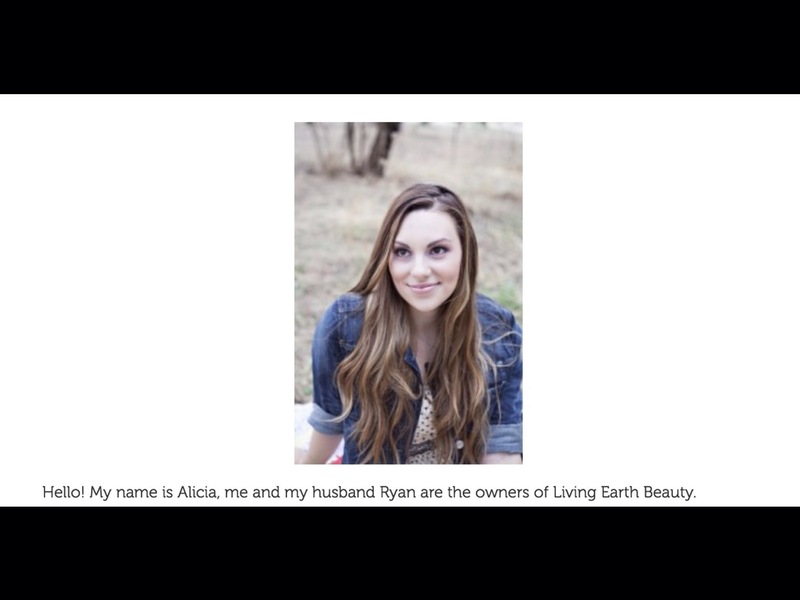 Living Earth Beauty is a small family owned and loved business located in Arizona. 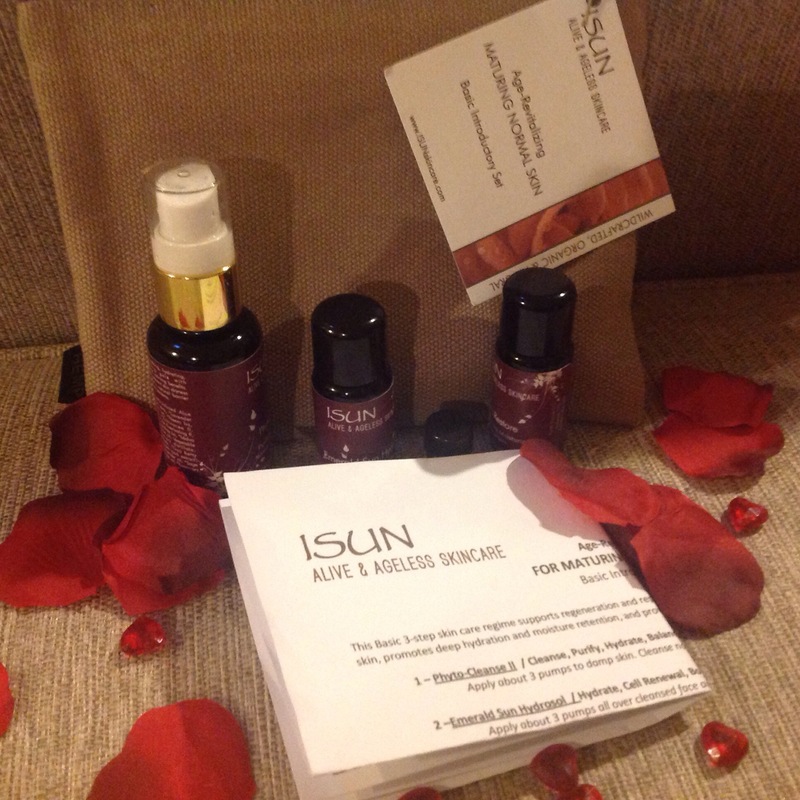 They are very passionate about health and the use of clean products on and in our bodies. They envision a world where we live in health and harmony with the Earth and all beings. Living Earth Beauty is their expression of that vision. 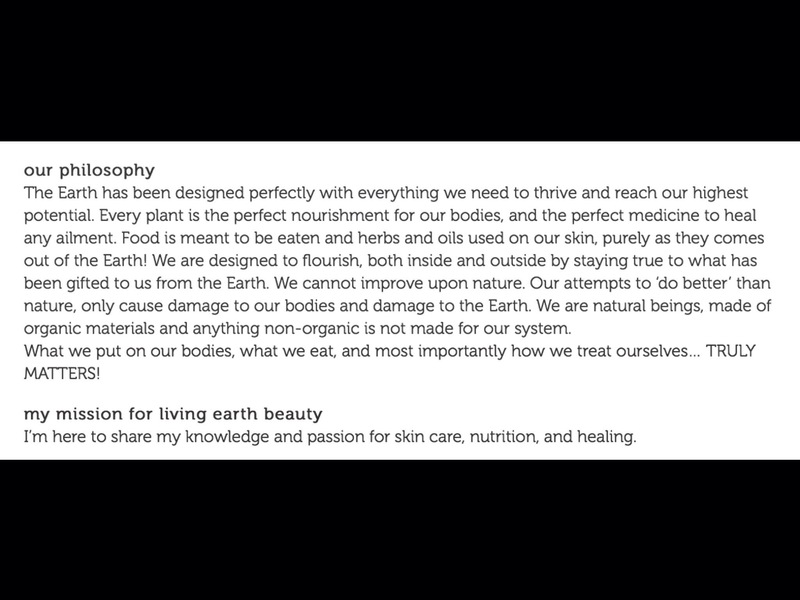 Your health and well-being is important to them, and it is their mission to offer you products which will heal you, nourish you, honor you, and enhance your natural beauty. I love using natural products. They are a real pleasure to use. 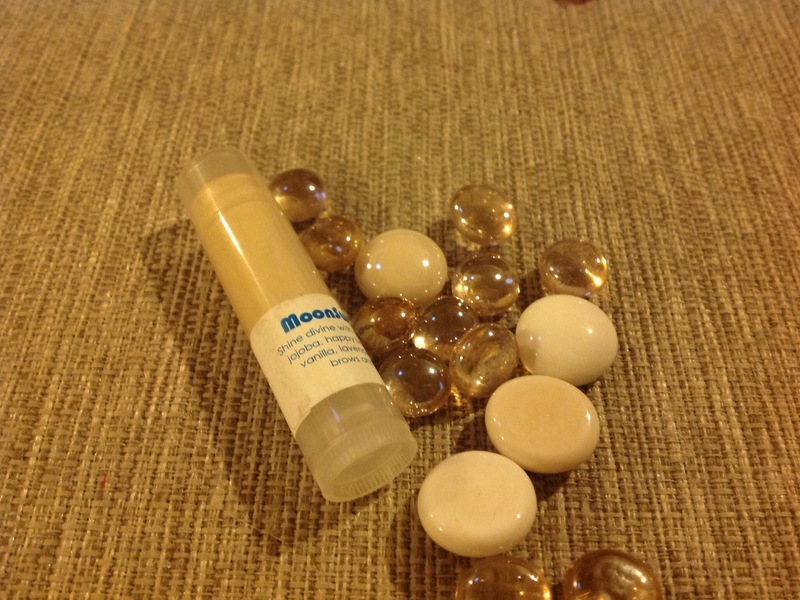 I have allergies and I don’t want to use anything with nasty chemicals. You have to be so careful with what you use. The strange ingredients add up and so do the harmful ingredients finding their way in your bloodstream. Some have the highest scores of toxicity and health hazards. Using those products, you are exposing your body to carcinogens, endocrine disruptors and harmful chemicals that could decrease your fertility. I had very bad experiences in the past. I don’t easily trust spas. I had a facial and the lady left a permanent mark on my face. Plus it was at the time when I was not checking the labels and I’m sure that she was using products full of chemicals. Now I only use organic products. Let’s jump into the review now. 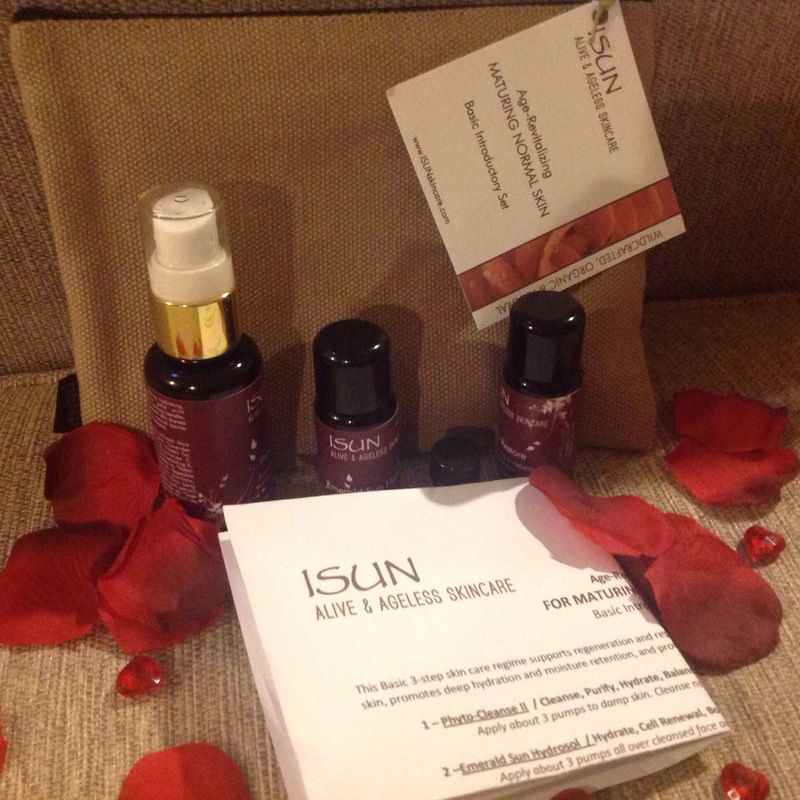 To introduce ISUN Organic Skin Care, Living Earth Beauty offers product sets in small sizes. Introductory Sets come in hemp bags with zippers. Each set includes full instructions for use. This set is for maturing normal skin types and it contains: 30 ml – Phyto-Cleanse II 10 ml – Emerald Sun Hydrosol 10 ml – Ultra Restore Sample: Rhassoul Refining Exfoliant Sample: Chlorella Algae Mask. The effects on me are spectacular, my skin is clean and soft like a baby’s skin. I totally adore these products. They smell wonderful and make your skin look amazing. It’s like doing your own spa treatment at home. 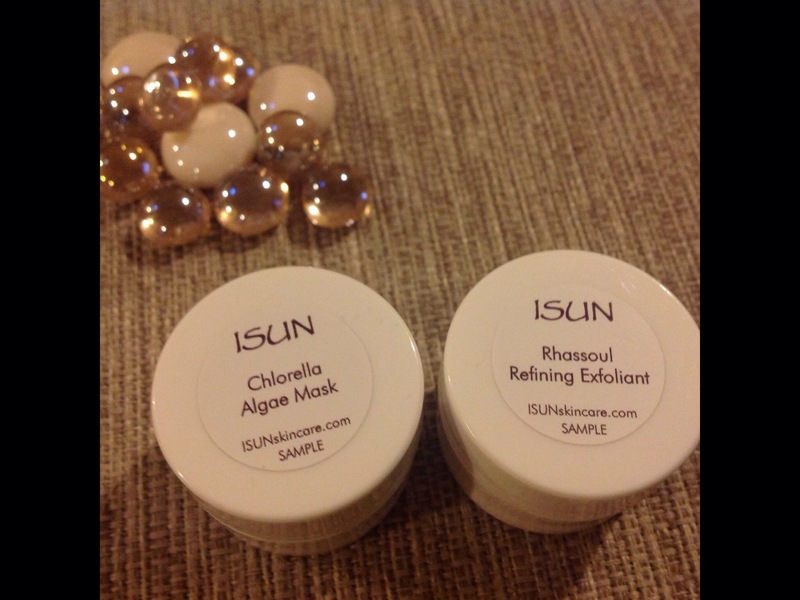 The scrub and the mask are truly amazing, your skin will look superb after using them. The whole kit is a gem. 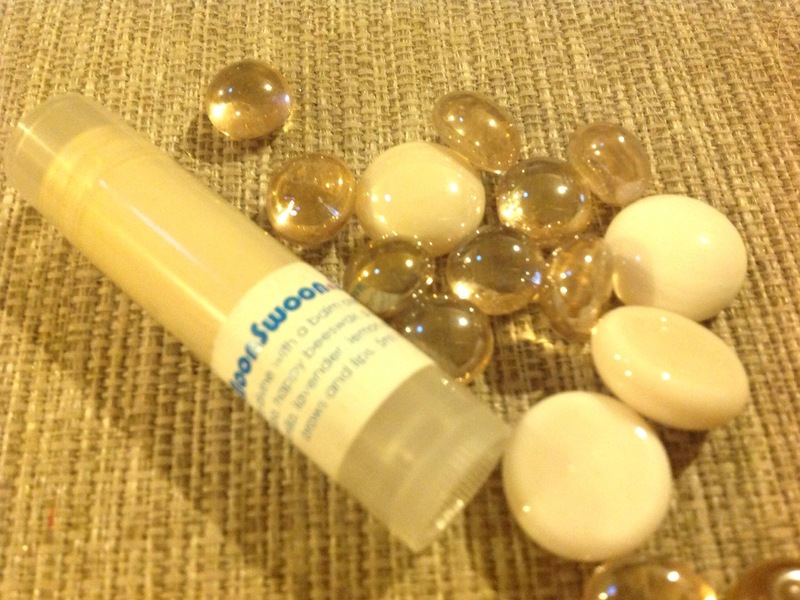 It comes with a citrus lip balm that you will love for sure. This lip tint comes in an adorable little bag, it’s absolutely adorable and It smells so nice. A total nutrient and moisture-rich lip tint with butters and oils containing high levels of antioxidants providing natural UV protection. 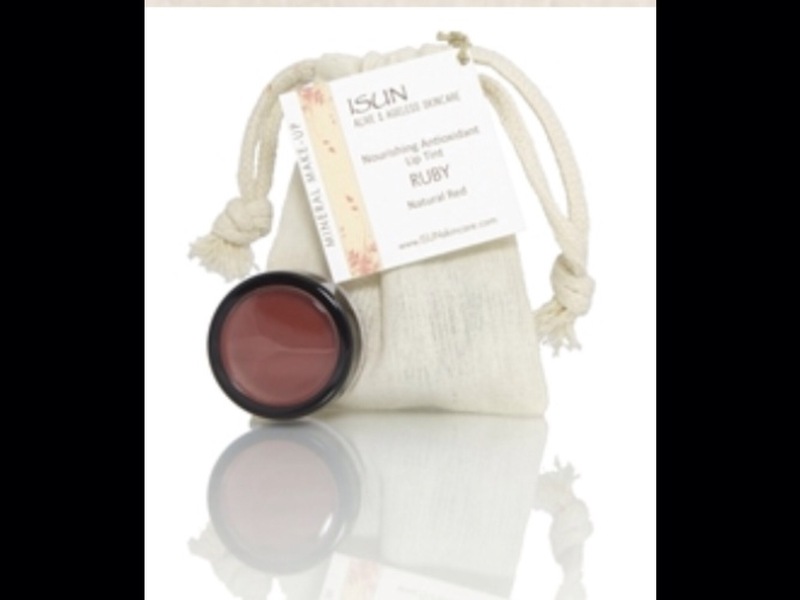 This naturally tinted lip balm deeply nourishes your lips, keeps them moist and soft and adds a hint of color best described as a natural red. 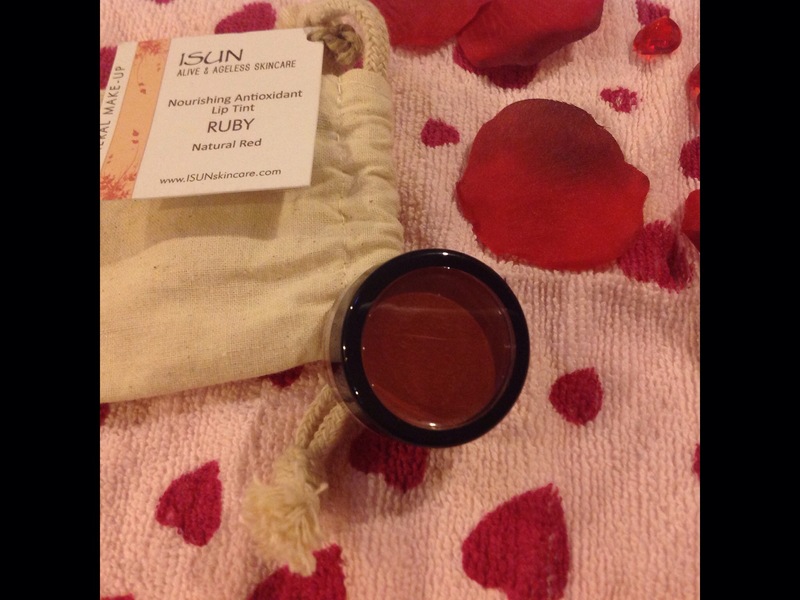 If you love a little bolder lip color, you will love this natural red Ruby tint! 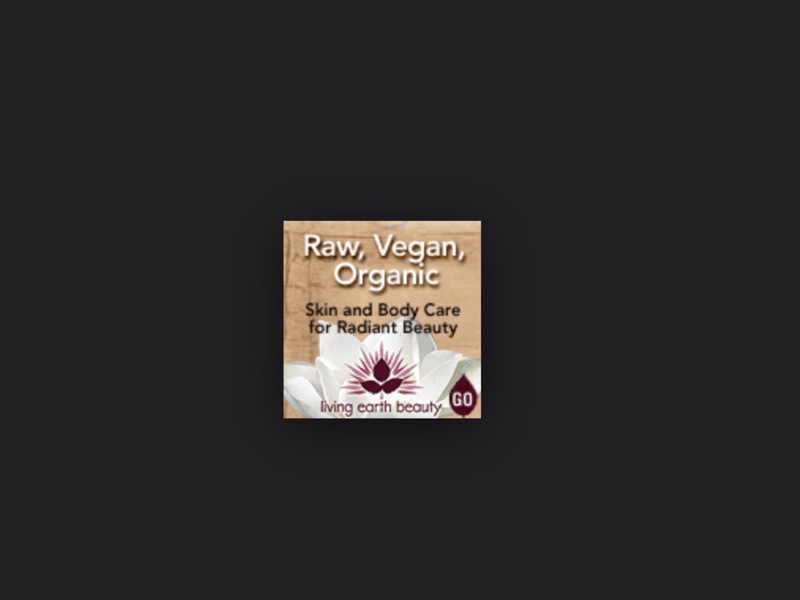 This product contains organic beeswax . It exists in different colors , you can check the website. I have it in the color Grape.It’s actually a brown color with a hint of purple. first I was not sure about the color but now I just love it. First I love the fact that it’s vegan. 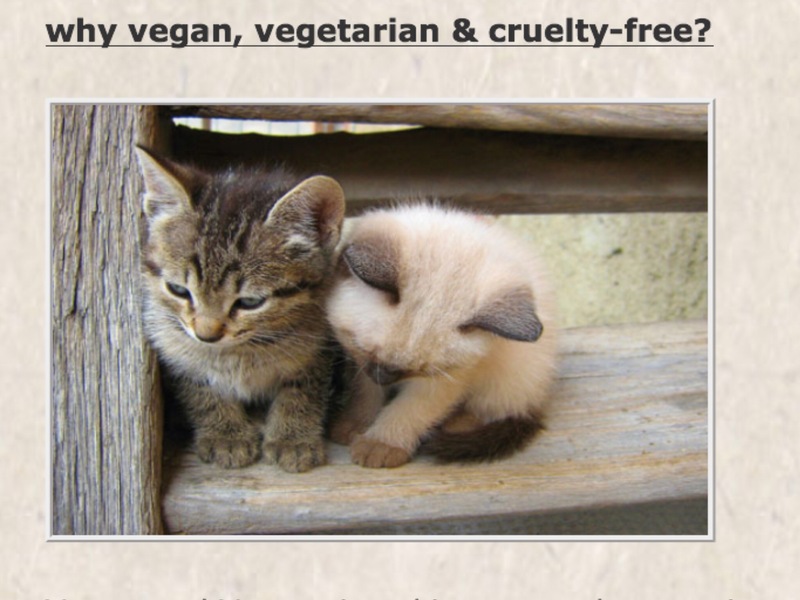 You will find so many vegan options on this lovely website. now I really enjoy the color especially when I’m using it with my fairybell eyeshadow. It lasts for so long, and it’s not dry like some eyeliners can be.it’s a great product. 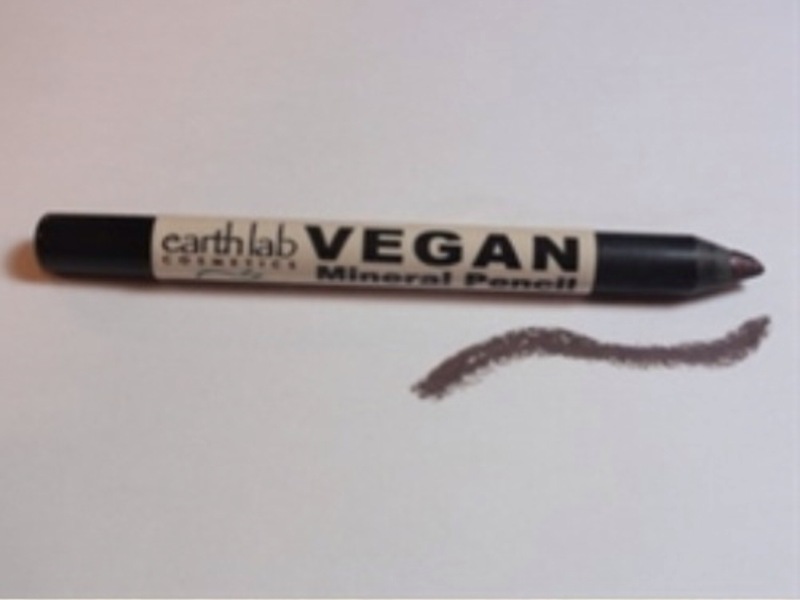 Earthlab’s eye liner pencils are handcrafted with natural plant products. A base of jojoba and natural waxes yields a wonderfully creamy texture that glides on smooth, lasts all day and washes off clean. This popular shade of ‘Grape’ when applied to the eye line, appears brown with a hint of purple. If your eye color is brown or hazel this is the color you want to wear. Earthlab’s eye liner pencils are handcrafted with natural plant products. The only truly Vegan pencil handmade in North America. I was looking for a body shimmer that color for a very long time. I just love it. It’s very shimmery. It sparkles. 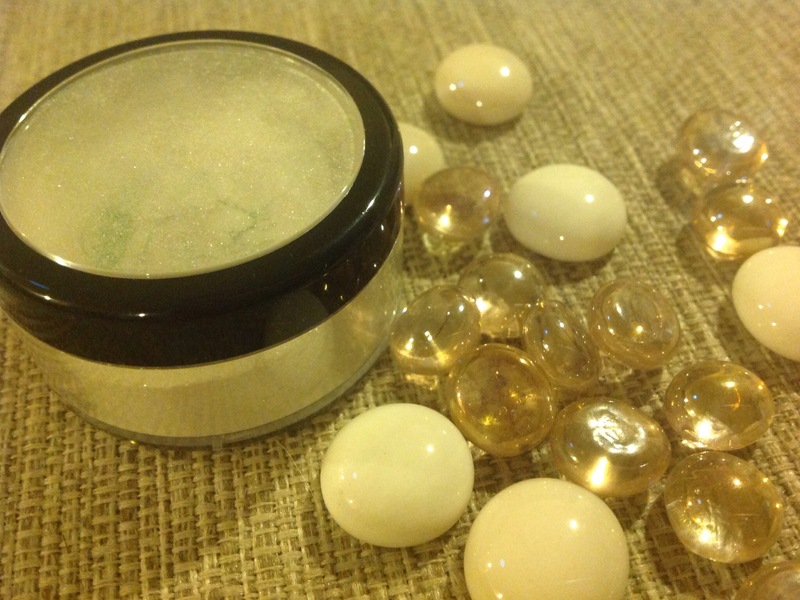 if you don’t like shimmery products like I do, you can find many other options on the website. 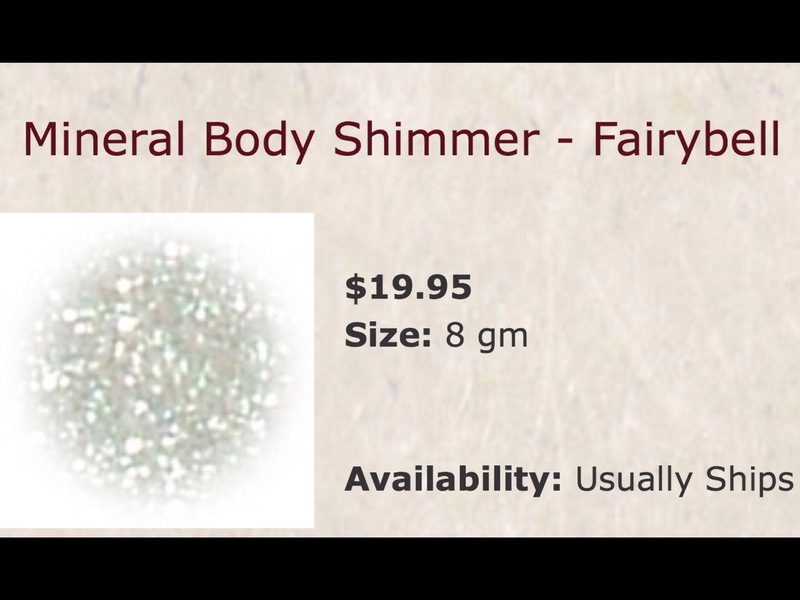 The Natural Color Fairybell body shimmer is great for adding a little sparkle to your skin wherever you want it — shoulders, arms, cheeks, eyes or wherever you dare! Living Earth Beauty recommends applying it dry with a large brush such as the Deluxe Kabuki or Blush Brush. 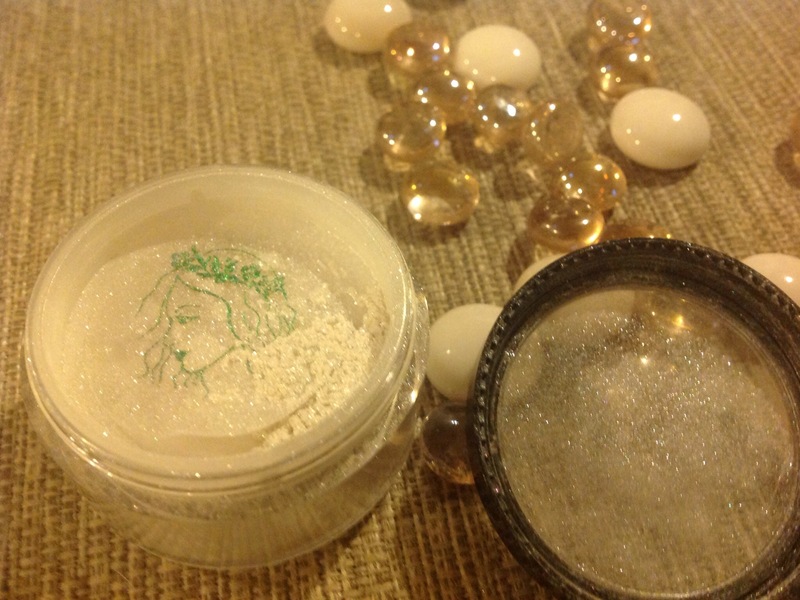 I use it at the moment as an eyeshadow, then I will see in the summer. I love this product. the color is amazing, really shimmery. it’s a very soft color. on my lips , it looks baby pink.So pretty. 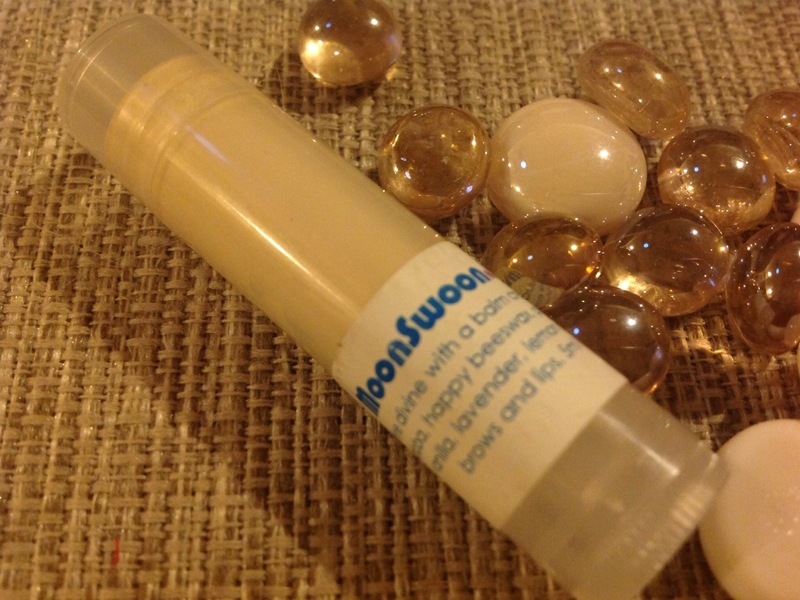 MoonSwoon Lip Shimmer glows with a weightless shimmer, a hint of sheer-sixties-white, and a burst of sparkling moonlight. 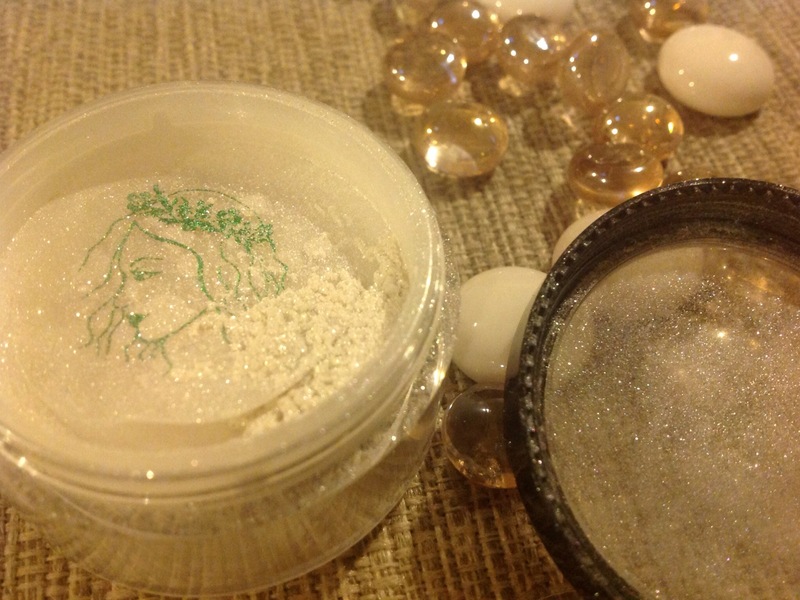 Create instant pearls of illumination on brows and cheek bones, or grace upon lips for a goddess-like moonlit pout. Layers of crushed gemstones from mineral-rich micas join with botanical roots to coalesce into scintillating, shimmering hues that dynamically interact with sunlight, indoor light, and the light of your smile. Shine divine with a balm created from organic oils of jojoba, happy beeswax, pure essences of jasmine, vanilla, lavender, lemon and mica. * Living Libations lovingly and gently gathers their beeswax from their own happy bees in their pristine wilderness retreat. 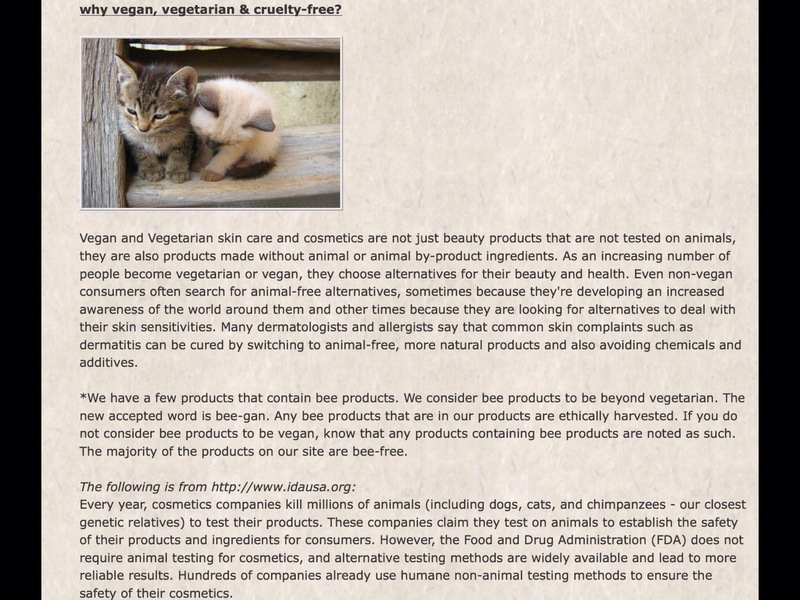 * For vegans who do not use bee products, this product contains beeswax. 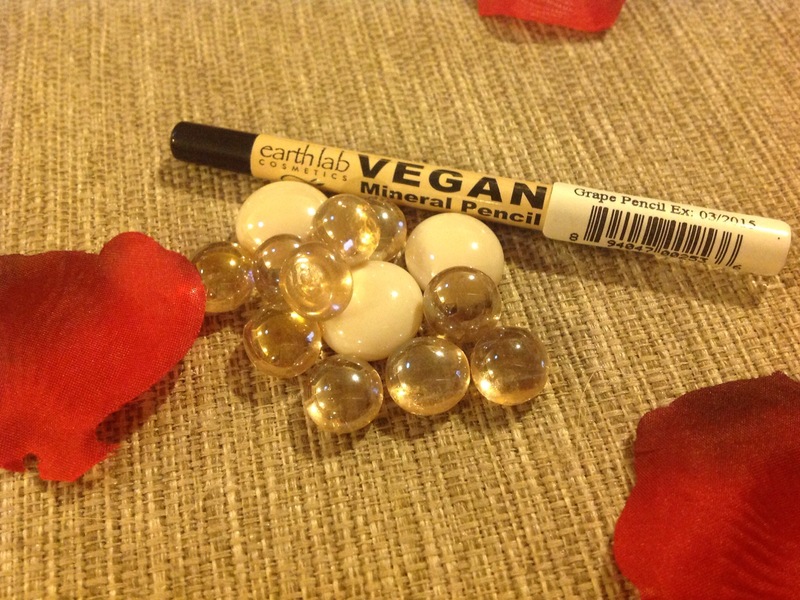 Same here you can find Vegan lip balms on the website. 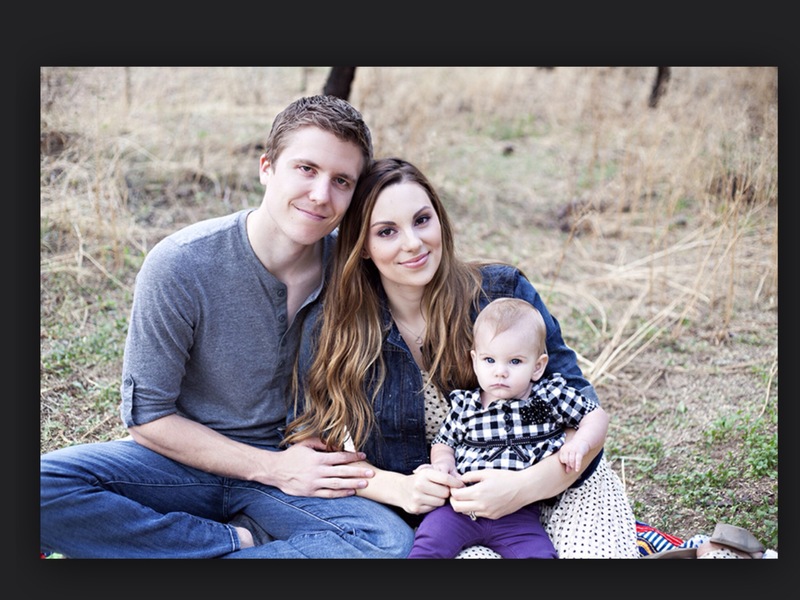 Alicia and Ryan are the owners of Living Earth Beauty, here with their beautiful daughter Scarlett.